I love tacos and they are a regular on my menu. 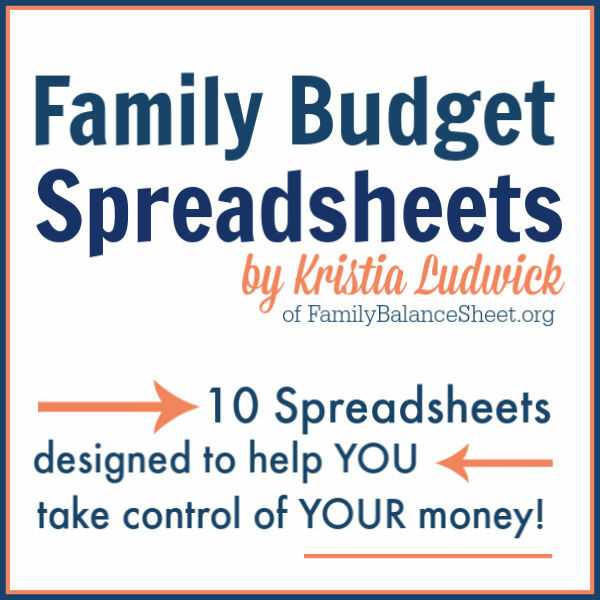 To save money, I always buy ground meat in 3 lbs or larger packs. The larger the pack, the lower the price per pound, and I can get make at least 3 meals from the 3 lbs of meat. 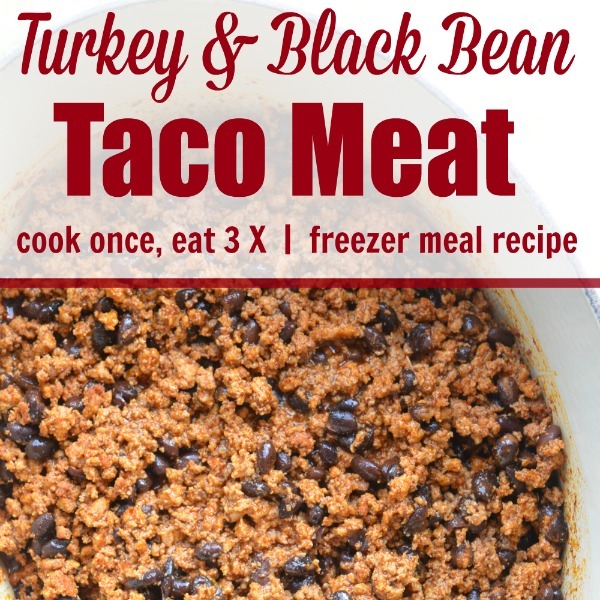 To save time, I turn those large packs of ground meat into a big batch of Turkey & Black Bean Taco Meat. 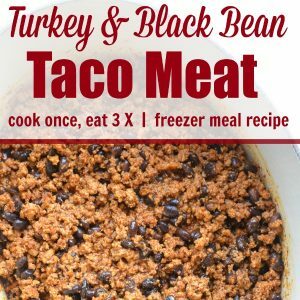 I store the taco meat in the freezer and then I always have a tasty protein ready for a quick dinner. 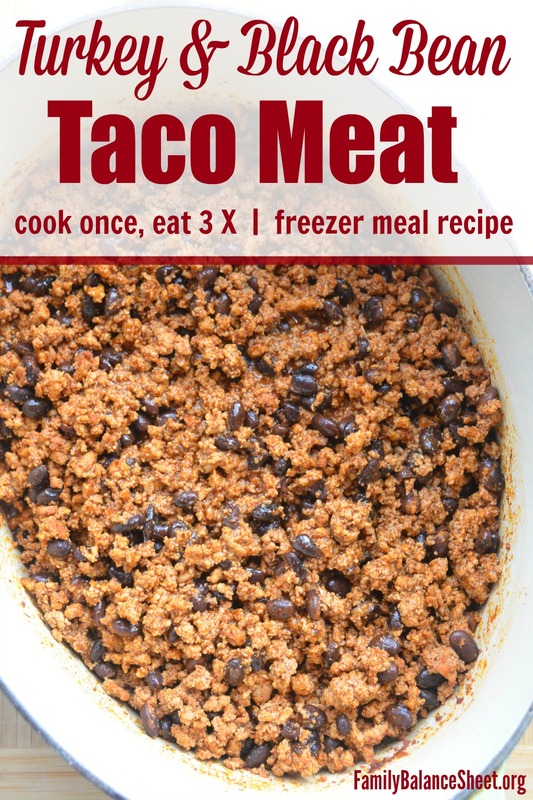 This taco meat can be used in nachos and Twice Baked Sweet Potatoes. 3 lbs. of ground turkey. You could also use ground beef. Heat olive oil in a skillet or dutch oven large enough to handle 3 lbs of meat. Brown the meat until cooked through. If using beef, you might want to drain any excess grease. Add the water, beans, and taco seasoning and stir to combine. Bring to a boil and reduce to a simmer. Cook for 30 minutes, stirring occasionally. Use immediately and/or divide into freezer containers or bags. 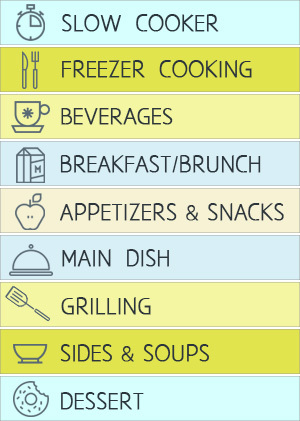 The entire mixture can be divided into at least 3 (32 oz) freezer containers. I also divide into smaller 2-3 cup portions.